Finally I have pulled myself out of the haze of sickness that has engulfed our house in the last week, if that doesn't make you want to follow a recipe I have for you, then I don't know what will. This is one of my all time favourites, I made it tonight and Joel asked me why I made his birthday dish a week early. Whoops, I didn't realise he liked it that much. It is a great dinner for the whole family. I only cook one meal a night (and that is on a good night) so it has to be edible for us big people and the one little person too. I read that ricotta is recommended for babies over 7 months. 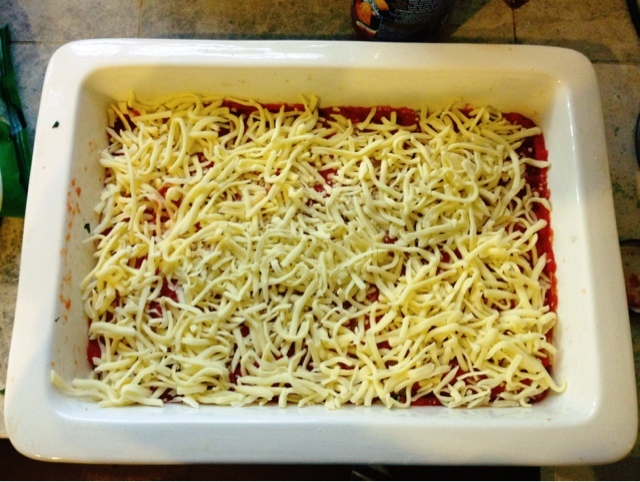 It is such an easy recipe, you don't have to pre-cook the lasagne noodles and it is delicious. It takes about 15 minutes of prep and then it just cooks away on its own. Baby Spinach (fresh or frozen) 200g frozen or a large bowlful fresh. - If you have frozen spinach defrost it or fresh Spinach boil or steam until cooked. 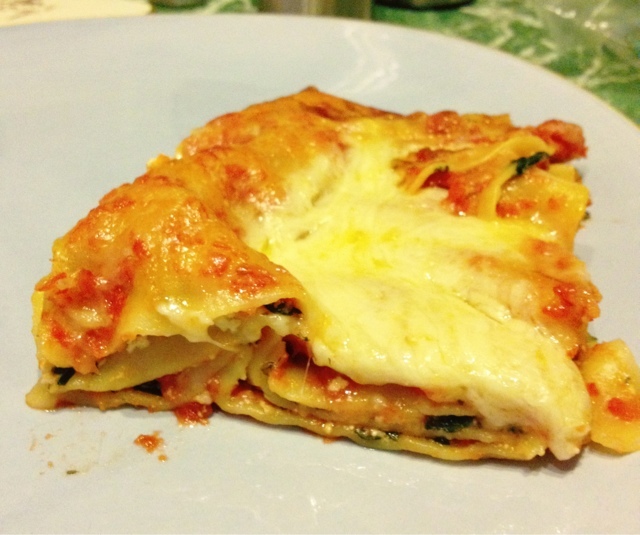 1 comment on "Easy Family Spinach and Ricotta Lasagne"
Mmm..yummy! 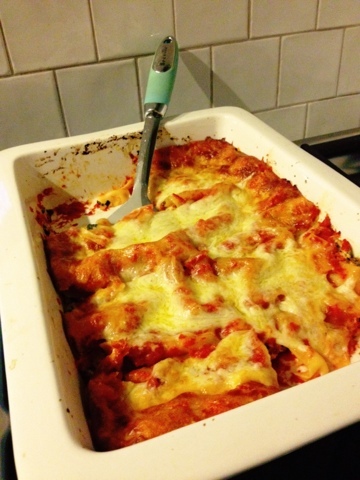 My husband absolutely loves Italian food and lasagna is definitely up there! Thanks for linking up!